- 10 ounce, cotton canvas. - Holds one 750ml bottle. - 3" bottom and side gusset. - Fabric matched webbed handles. 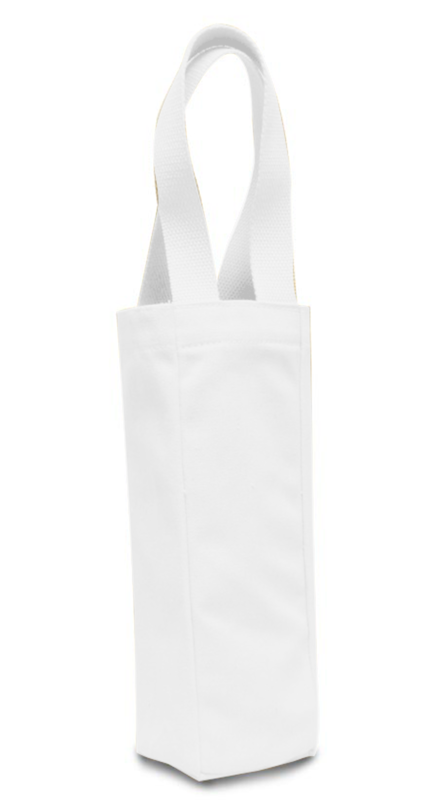 Liberty Bags 10 Ounce Single Bottle Wine Tote. 10 ounce, cotton canvas. Holds one 750ml bottle. 3" bottom and side gusset. Fabric matched webbed handles. Tote Size: 3" x 10.5" x 3". Color: Natural.